Multi Metals are to exhibit the aluminium Belgrave Juliet Balcony range at the Homebuilding & Renovating Show in Edinburgh on October 21st and 22nd 2017. The event at the Royal Highland Centre is Scotland’s premier exhibition for the self-build and restoration market, with thousands of visitors viewing the latest building products and picking up tips and inspiration from design experts. Visit us at stand 160 and you can see our new British-made Belgrave Juliet Balcony and all the advantages it offers. 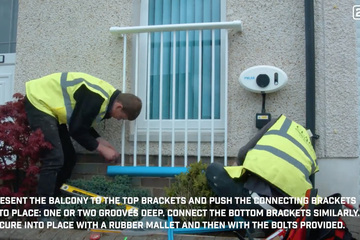 The Belgrave was developed to be as simple as possible to fit and level, and is supplied as a self-assembly kit with comprehensive fitting instructions that make it ideal for use in any self-build, renovation or extension project. The aluminium railing benefits from outstanding corrosion resistance, making the balcony entirely maintenance free after installation. It is available in a range of finishes and sizes, so there is sure to be an option suitable for your home. 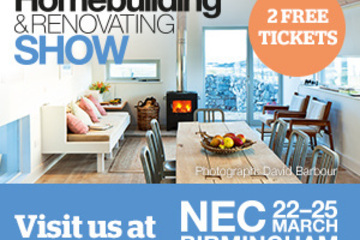 Visit us at the Homebuilding & Renovating Show to find out more. We can even provide you with free entry to the event - just click on the banner on the right and complete the forms to get a pair of tickets.